HATTIESBURG, Miss. (CBS/WJTV/AP) Three members of the University of Southern Mississippi football team who were shot during an altercation at an off-campus nightclub early Sunday morning reportedly apologized to their coach for "letting the team down." Linebackers Martez Smith, 22, and Tim Green, 21, and defensive lineman Deddrick Jones, 23, were shot around 1:30 a.m. Sunday after a fight broke out in Remington's Hunt Club and spilled into the club's parking lot, according to Hattiesburg police. Southern Mississippi coach Larry Fedora declined to discuss details Monday after visiting with the players who all remain hospitalized in fair condition. Smith and Jones apparently spoke to Fedora, but the coach says Green wrote his message because he was unable to speak due to his injuries. No arrests have been made and police have not released any possible suspects; however, Hattiesburg police spokesman Sgt. Allen Murray said the shooting was possibly gang related. 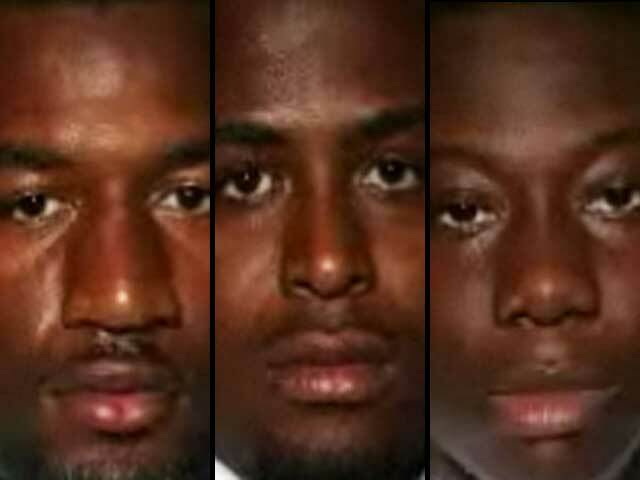 "We will do all we can to assist these young men and their families, as well as assist the Hattiesburg Police Department in its investigation of this event," said University of Southern Mississippi President Martha Saunders, according to CBS affiliate WJTV. Smith, a fifth-year senior interdisciplinary studies major, was the team's starting middle linebacker before a season-ending knee injury last month. Jones, a junior from Bastrop, La., has started all 10 games on the defensive line, making 26 tackles this season. Green has made four tackles in the seven games he has played this season and he too is a junior interdisciplinary studies major. "During this difficult time our thoughts and prayers are with these three members of our Southern Miss family, Martez, Tim and Deddrick, as well as their families," Fedora said in a statement released by the school. "These three men are an integral part of the success of our football program and we will continue to keep them in our hearts and hope for a speedy recovery." Individuals with information are asked to call Crime Stoppers at 601.582.STOP or 601.582.7867. All information given to Crime Stoppers is confidential.